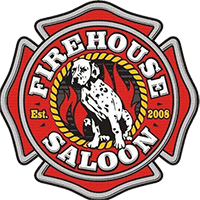 Firehouse Saloon is a diverse bar and entertainment venue that features: Live music and shows, comedy, karaoke, dj’s, darts, pool, ping pong, and a large patio where you can relax and enjoy the many drink specials, as well as the best wings in town. We put the Funday back into Sunday with the NFL Sunday Ticket, and will show the featured game on our 12 foot projection screen. Every nfl game, every week will be on at the Firehouse, and if football isn’t your thing, we have free pool and darts on Sunday. We work hard to make sure that you have fun! Come in, meet our staff, and let us help you unwind, you deserve it! Logical problems and puzzles. No physical effort.